February 2 2018. 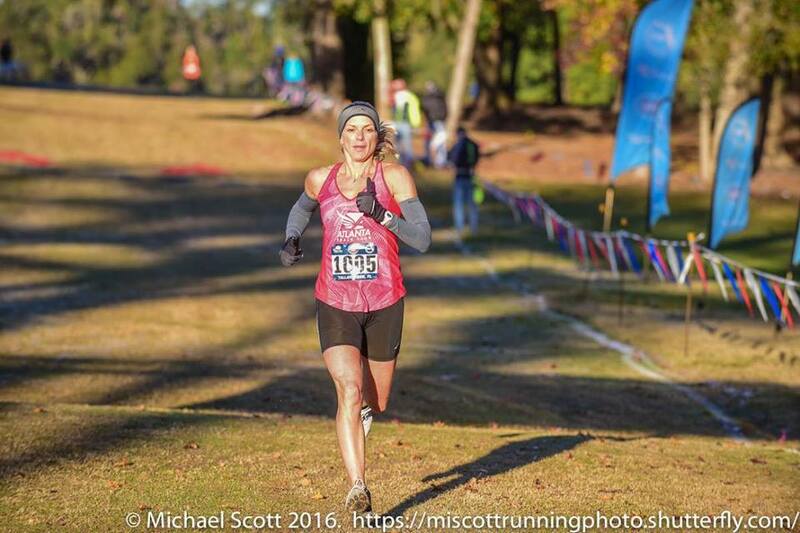 The 2018 Masters Grand Prix kicks off 2018 with the USATF Cross Country Championships on Saturday, February 3rd at Apalachee Regional Park in Tallahassee. The site of the 2016 Club Cross Country Championships, many Masters Runners look forward to the return to a fabulous destination course for Cross Country with its groomed trails and big screens showing spectators the race as it unfolds on the course. Vying for over $7000 of Championship Prize Money and the bragging rights that go with the victories, Masters Runners joined their Junior and Open compatriots in contests at the overall, age grading, age division and team levels. The Masters Women run over a 6K course at 9 a.m. with the Men following on an 8K layout at 9:45 a.m. The weather forecast appears propitious with mostly sunny skies, temperatures at just over 40 degrees for the women and mid 40’s for the men. Winds of 8-9 mph will make those temps feel a little colder but those are great conditions for a February Cross Country Championship. Men. 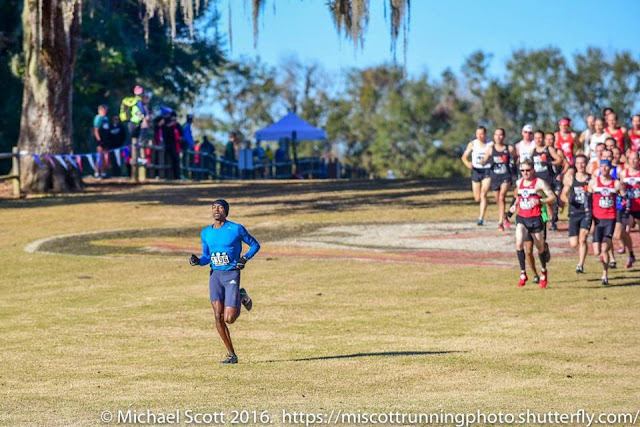 Kevin Castille, the 2017 Masters Road Runner of the Year and Overall Masters Champion at the 2016 Club Cross Country Championship on this same course, returns to the scene of his 10K triumph to try his luck on their 8K layout. Castille not only won every Champinship he entered last year by a wide margin, he established new American records at distances from the 1 Mile to the 15K. If he is close to his usual fitness, it will be the same stor here. He is the prohibitive favorite. He will not go unchallenged. David Angell, winner of the 2017 Masters Grand Prix for Men 40-44 will try out the Tallahassee course for the first time. Last year he went to the Championships at Bend Oregon and finished just off the podium. He has a good chance to rectify that omission this year. Winner of the 8K and 10K Masters Championships last spring in 25:24 and 32:37 and a podium finisher at almost every road championship, Angell would normally be in the hunt for a win. With Castile in the field, that will be very tough and Angell will have to keep an eye on several challengers who hope to place themselves on and him off the podium. Jonathan Frieder had a terrific 2017 but could not quite match Angell. A minute behind Angell at the 10K Championship he finished only 12 seconds back of Angell at the 5K Championships in October. If he can put it all together, he is a threat. Greg Putnam has had a slight edge over Frieder on the last two Club XC Championships but Frieder had his measure on the roads in the fall. It will be fascinating to see who comes out on top this time. Sam Teigen finished just outside the top 10 Masters Runners at the California International Marathon in 2:31:35 and has a 26:24 8K to his credit. How will he fare on the cross country turf? The original posting left Sean Wade out of the discussion, an egregious error that I can blame on time constraints, but is pretty much inexcusable. Wade ran a 15:22 5K a couple of weeks ago; a little over a year ago he ran the Aramco Half Marathon in 1:12:21. Those marks both compare favorably with Angell's and suggest quite a dogfight for 2nd place. Because this is a short XC race, I will give more weight to the 5K results and put Wade ahead of Angell but it should be a great race to watch! Women. Sonja Friend-Uhl, the Women’s 2016 Club Cross Country Masters Champion, should also be considered the favorite. Coming off cooking a 1:22:46 at the Naples Half Marathon and setting a new Women’s 45-49 American Record with a 4:59.9 Indoor Mile, she is clearly fit and focused. In 2017 Friend-Uhl concentrated mostly on the track; her only appearance at a National Championship was at the Club XC Championships in Lexington where she finished an uncharacteristic third. In 2016 she finished a single second behind Marisa Sutera Strange’s winning 10K Championship time of 36:48. 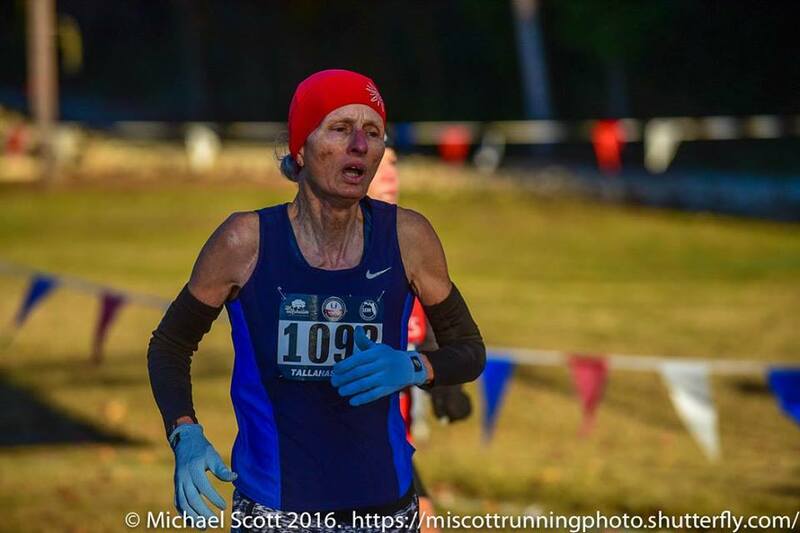 But in the fall she took not only the Club XC Championship but also the 5K road and the 5km Masters XC National Championships. Marisa Sutera Strange, who took Friend-Uhl’s measure in the 2016 10K Championship, will attempt to match that feat. But Friend-Uhl has the edge in Cross Country as Strange finished 4th behind friend-Uhl at 2016 Club XC and was a half minute behind her at this past December’s Club XC in Lexington KY. Strange will be joined in the hunt by Maggie Shearer and Jennifer Bayliss, dropping down from their California International Marathon finishes in 8th and 12th respectively in the Masters competition. Shearer’s 36:39 in the fast Dana’s Point 10K suggests she may have the speed and stamina to stay with Friend-Uhl and Strange. also has the fastest 10K time of the 3 in the last couple of years at. Bayliss’s best road times for 5K and 10K at low 18’s and low 38’s are a bit off what the other three have attained but she will not be far off the pace and if anyone falters she too has a shot at the podium. Women. Top contenders for the age-grading crown, signifying the best relative performance across all age groups includes 2017 Masters Athlete of the Year, Sabra Harvey. She took the Age Grading crown in each of the 5 Championships she entered on her way to a perfect 500 score to win the 2017 Individual Masters Grand Prix. She typically scored in the upper 90’s or lower 100’s, almost unheard of. There is no reason to expect anything different this year. Other contenders for the Age-Grading podium include Susan ‘Lynn’ Cooke, Doreen McCoubrie, and Marisa Sutera Strange. Strange was on the Age-grading podium at 6 National Championships last year and had four second place finishes; hitting over 93% at the 5K and 8K. In races where they overlapped, the order was Harvey, Strange, McCoubrie and Cooke in that order. Of course 2018 is a new year so who knows?! Men. Kevin Castille is the favorite; he took the age-grading crown at each of the three national championships he entered. He will be challenged by Nat Larson, who had the top age-grading score at the 2017 Club Cross Country Championships. Larson finished only one percentage point behind Castille at the 1 Mile Championships but was closer to three percentage points behind at the 5K and 15K Championships. Castille’s Age-Grade scores in the 1 Mile, 5K and 15K national championships were 92.67, 98.12, and 94.30. Other contenders include Rick Becker, Christian Cushing-Murray, Kent Lemme, and Mike McManus. Perhaps the best guide there is the recent Club XC Championships where all four of those competed, albeit with Becker in the 60+ 8K and the rest in the 10K. Larson topped the list at 91.65, followed by McManus at 88.49, Lemme at 88.37, Becker at 87.69, and Cushing-Murray at 85.88. Becker and Cushing-Murray both lost the first half of the 2017 season and so might, arguably, still be on the upswing in race fitness. They both ran Club XC in San Francisco in 2015, scoring 90.77 and 87.71. It seems Becker might be able to challenge McManus and Lemme but Castille and Larson should remain up top. Here, too, the egregious error on Sean Wade makes a big difference. Wade's 15:22 5K on January 13th, 3 weeks before his 52nd birthday, age graded above 96%. That makes him a potential threat even to Castille and likely means he is the favorite for 2nd place. 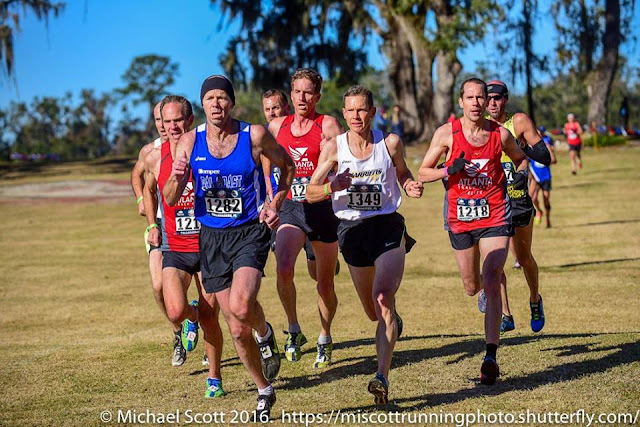 Nat Larson [white singlet] contesting the Men's 50+ race at the 2016 Club XC Champinships at Tallahassee with Cal Coast's Pete Magill [blue] and three of the Atlanta Track Club team. Larson beat Magill by 8 seconds but finished 2nd to him in age-grading by 0.4% points. Men 40-44. This is often a repeat of the Overall Men’s preview except that Kevin Castille, Greg Putnam, and Jonathan Frieder are all in the 45-49 division. That means I am picking David Angell to win the division and Sam Teigen to take second. Third place looks like a tussle between Atlanta’s Mark Castleberry who has some low to mid-17 5K’s on the books and Garden State teammates, Thomas Knowles, who clocked a 16:42 in the 5K Championship at Syracuse and Chuck Schneekloth who has a 27:58 in the Ashenfelter 8K. Women 40-44. Again here, Sonja Friend-Uhl, Marisa Sutera Strange, and Jennifer Bayliss are in other age divisions so my overall race prediction suggests that Maggies Shearer should win the division. It appears that Carla McAlister and Kimberly Mueller are pretty evenly matched in the competition for the two remaining podium positions. McAlister has a division 6th and 9th in the 2014 and 2015 Cross Country Championships in Boulder and a 1:23:46 Half Marathon on the fast RnR San Diego course. Mueller had a 1:25:43 in the same race. McAlister appears to have a bit of an edge. Men 45-49. Based on the Overall Men’s preview, this division must go to Kevin Castille by a very wide margin, with a fierce battle between Greg Putnam and Jonathan Frieder for the two remaining podium positions. If he runs as well as he ran in Tallahassee in 2016, Brent Fields could well figure into the race for the podium as well. Jonathan’s twin brother, Elliott, has been regaining his fitness over the last year or so and has been narrowing the gap between them. But at the last race Eliott was still 45 seconds back. Women 45-49. I have Sonja friend-Uhl followed by Jennifer Bayliss in the division. But Nancy Thomas and Abby Dean could upset the apple cart. Thomas finished 6th overall on tis course for the 2016 Club XC Championships. She was further back at Lexington, but it may be that the course at Tallahassee fits her running style better. Dean had some great divisional placing in the 10K Road championships in Dedham in 2014 and 2015, finishing 2nd and 4th in 37:50 and 38:38 but her times have slowed recently. Should she return to her form of a couple of years ago, things could get interesting. Men 50-54. Sean Wade should have a solid win in this age division. Who takes the second and third place on the podium should come down to a battle between Mike McManus and Kent Lemme, with Christian Cushing-Murray right there pushing the pace in case either of those two falter. Lemme had the edge over McManus in both the 8K Road Championship in March and at the 10K XC course at Lexington in December. The margin was only 4 seconds at the 8K but it was 15 seconds at Club XC. Mark Hixon and Eric Stabb, two strong runners, will not be far off but it would be an upset for either to make the podium. Women 50-54. Marisa Sutera Strange should take the division crown with minutes to spare. Based on their performances in the past two Club XC events in Tallahassee and Lexington, Michelle Allen looks like a solid bet for 2nd, with Carol Bischoff securely in for the 3rd spot on the podium. Men 55-59. Nat Larson took the division crown at Club XC in Lexington by almost two minutes. The race here is 2K shorter so it will probably be closer but not much closer. Jeffery Dundas took 5th in the division in the 1 Mile and has a New Year’s day 18:25 5K on the books this year so he has his fitness. Couple that with some low to mid 37 10K’s and he looks like a good bet for the podium. Central park TC’s Ronald Romano appears to be a little off that paace but his 1:01:41 15K and his 1:28:17 in the UA NYC Half Marathon suggest he is perhaps the favorite for the final podium position. Kevin Paulk and Timothy Riccardi could also be in the hunt for a division podium spot. Women 55-59. Trish Butler, Lynn Cooke, and Doreen McCoubrie should take the top 3 spots in the division. McCoubrie beat Cooke in their only meeting at the 8K at VIrginia Beach by over a minute. Butler, new to the division and on the comeback trail in the autumn, was strong enough to edge Cooke by a minute in the 5K. If Butler has regained her full fitness she will give McCoubrie a terrific fight. Suzanne Cordes and Mary Swan could factor into the podium hunt if any of the top 3 are off their game. Men 60-64. Rick Becker and Ken Youngers had largely achieved their comebacks from surgery by the time Club XC rolled around and, as a result, took 2-3 behind Joe Sheeran who is not entered here. Becker took Youngers by 6 seconds at Lexington but they had two minutes on Michael Anderson and Brian Cummins, who are likely to be their closest pursuers in Tallahassee. Not far behind them were teammates, Reno Stirrat and Kevin Dollard, who will try to break into the top bunch of finishers. Women 60-64. Most of the competitors at Tallahassee were also in Lexington for the Club XC Championships. Based on that race it looks like Patricia Ford and Sharon Moore could go 1-2. But there is one newcomer who is likely to upset that outcome. Catharine Utzschneider competes mostly in aquathons but she ran the Marine Corps 5K in Massachusetts in 22:04. That should mean she has the speed to take the crown in the division. We shall see. Cynthia Williams could make the podium if any of those are off their best. And, by the same token, Sharon Ames, Cheryl Guth, and Susan Stirrat will not be much off the pace either. Men 65-69. Doug Bell should be at the top of the division. The only guys who beat him last year are not coming to Tallahasee. Kirk Larson has been running well lately and should be in the hunt for 2nd along with Chuck Smead, who ran in the 15K this past October. Smead came in a few seconds ahead of Peter Mullin, one of the two guys who beat Bell in 2017. But a few years back when this Championship was run in Boulder Colorado, Bell was a minute and a half faster than Smead. It should be a fun race. I am guessing Bell can still beat Smead on a cross country course over 8K but we shall see. Larson was less than two minutes back from Bell on this course in 2016, but Larson was probably running better at the end of 2016 than 2017. If Lloyd Hansen has the fitness he had in 2015 when he was the Men’s 65-69 Runner of the Year, he would be right in with Bell and Smead but at Tulsa he was 3 minutes back. So we will have to wait and see; it could be a tough fight between Larson and Hansen for the final podium spot. Women 65-69. This division belongs to Sabra Harvey, the 2017 USATF Masters Athlete of the Year. Terry Foody, of the Bluegrass Runners will also contest the division and will be happy to take second to Harvey. Men 70-74. Based on the way runners were running at the end of 2017 Dave Glass, Tony Gingello, and Gene French should have the edge over Paul Carlin [that’s me! ]and Jim May who both ran strong earlier in the year. May won the 8K in 35:01 and then suffered a XC injury. He struggled with injuries, off and on, the rest of the year. I took 2nd to May and then Gingello in the 10K, won the Half Marathon and finished 3rd at Syracuse but then the wheels started to come off late in the year as my recalcitrant left hamstring started to reduce training efficiency. The hamstring is responding to dry needling and other Physical Therapy ‘magic’ but is a ‘work in progress.’ At Lexington, Glass came in almost a minute ahead of Gingello who had a minute on French. May’s teammate, Keith Yeates, was the next runner to finish so he could factor in on Saturday. Women 70-74. Uncontested at the end of online registration. Men 75-79. New to the 75 and up division, Robert Hendrick should waltz home with the Division Championship. Third in the 70-74 division at the 15K Championship in 1:10:02, he ran almost 3 minutes faster earlier in the year at the Gate River Run. He ran a 3:30 Marathon around Thanksgiving but over two months in between should have gotten that post-Marathon sluggishness out of his legs. David Turner took Charlie Patteson’s measure by a few seconds at Lexington so I have to give him the edge for now. Ron Mastin returns to the fray after missing all of 2017. At Boulder in 2015 Mastin was a few minutes ahead of Turner. We will see on Saturday where he is now, but he could definitely play a role. Women 75-79. As of the close of registration, Madeline Bost was the sole entrant and will win the Championship unless a rival shows up to register onsite. Men 80-84. Jim Askew must also suffer with the lack of competition as he will take the division. 80-84 Runner of the Year last year, whether opposed or not, he took first in all of his Championship races save one. Women 80-84. Eve Pell will contest this division but no one else. Men 85-89. 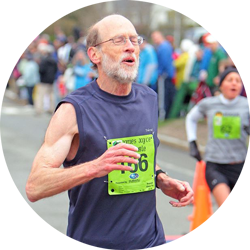 Unless someone else registers at packet pickup, Al Ray, the only registrant, will win the Division and also take home the honor of being the oldest finisher on the day. Women 40 and up. Impala Racing wins uncontested. Women 50 and up. The Athena Track Club and the New Balance Tampa Masters team went 1-2 in the 2017 Masters Grand Prix Club competition for, and NBT will be trying to knock off the top dogs this Saturday to get a step up on the 2018 competition. Women 60 and up. The three teams entered finished in order at the Club XC Championships: Atlanta Track Club, Syracuse Track Club, and Genesee Valley Harriers but ti was close. Looks like another barn burner. Men 50 and up. The Greater Springfield Harriers, 2017 Club Grand Prix Champions, should start off 2018 with a victory. That is despite Atlanta, Cal Coast and GVH bringing strong teams. At Lexington, it was Cal Coast, GVH and atlanta chasing Greater Springfield in that order and I will pick it the same here. Men 60 and up. The tightest team contest for the Men is probably in the 60+ division where the 2017 Grand Prix winner in the division, the Boulder Road Runners tries to hold off the improved Atlanta Track Club which finished 3rd but defeated the 2nd place club, Shore AC at the Club Cross Country Championships this past December. Men 70 and up. Atlanta is stronger with Dave Glass up front and Ron mastin returning but GVH appears to strong in the middle with Tony Gingello not far off of Glass, Jim May and Keith Yeates always tough. It looks like Coach Sumner may have to do a little more recruiting to move his Cal Coast team up higher on the podium than third in future races.